Hopefully you paid attention to last week’s FanDuel tournament guide. We touched on some of the tournament-winning players. It was just a matter of fitting the pieces together. Will every week be as good as Week 2 was for us? In reality — probably not. But we’ll keep trusting the process and hopefully uncover some more J.J. Nelsons and Michael Crabtrees while we’re at it. 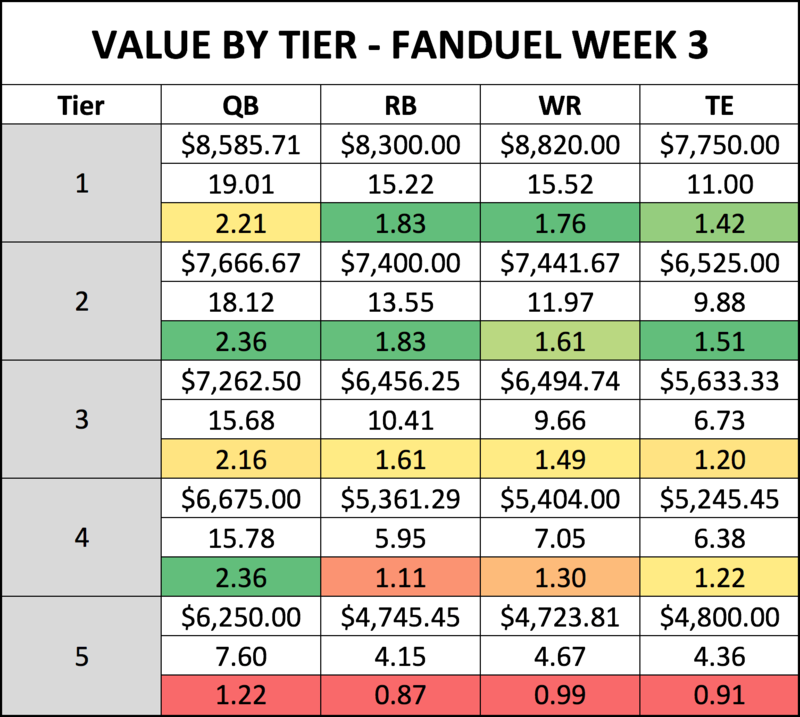 Here’s a look at my Week 3 FanDuel tournament strategy. Andy Dalton ($6,800). Yeah, I said it.